Calvin Andrew's fine strike helped Rochdale finish the season on a winning note as they downed relegated Colchester 2-1 in Essex. The visitors came close to scoring in the ninth minute when Joseph Bunney's effort was cleared off the line by Frankie Kent. And Dale took an 18th-minute lead through Nathaniel Mendez-Laing, who beat Joe Edwards to the ball and exchanged passes with Ian Henderson before confidently slotting home. Dale keeper Josh Lillis denied George Moncur and Elliot Lee but his poor attempted clearance just before half-time resulted in Macauley Bonne's lob landing on the roof of the net. 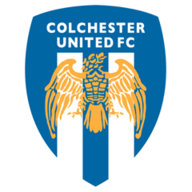 Colchester equalised eight minutes after half-time through Edwards, who finished superbly from inside the area after substitute Chris Porter had steered Alex Gilbey's pass into his path. James Bransgrove made a superb save to deny Rochdale substitute Andrew and Mendez-Laing also went close for the visitors. 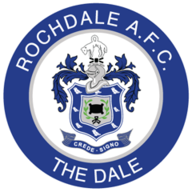 But Rochdale grabbed their winner midway through the second half when Andrew benefited from a rebound in the area and curled a magnificent shot into the top corner.